Boilers 2 Bathrooms 4 U Ltd | Working In Partnership With Viessmann are Gas Safe registered heating engineers who supply and install gas boilers. For similar replacement boiler companies in this area please visit the Chichester boiler page. 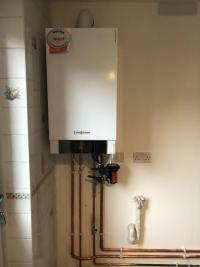 Boilers 2 Bathrooms 4 U Ltd are a family owned plumbing and heating company with over 30 years experience in the industry that work in partnership with Viessmann. 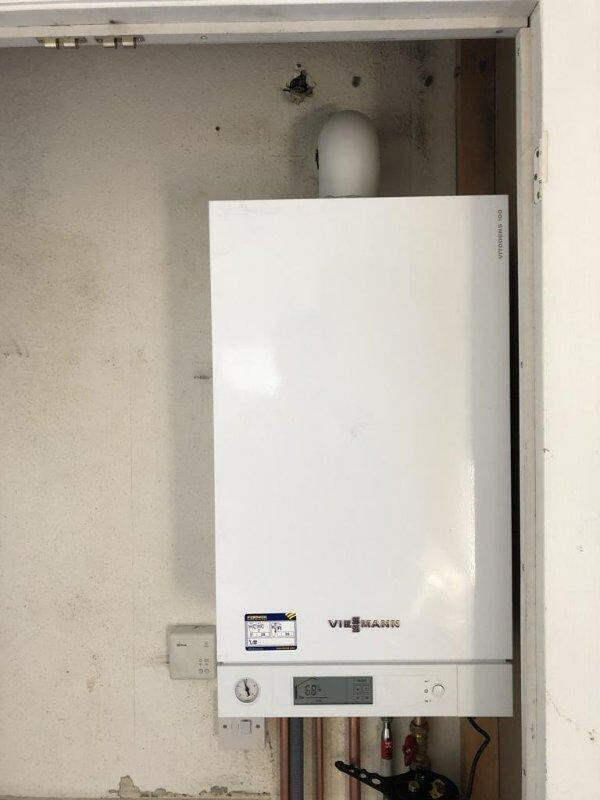 Viessmann are a German engineering company that has exploded in to the UK market place within the last few years, winning the highly regarded (Which? Best Buy) Accolade on it's Vitodens Boiler Range. Your Boiler is Our Passion. Glad you are happy with your new boiler!!! Arrived on agreed day . Boiler was replaced and up and running in one day. Darren also fixed my daughters radiator, which hadn’t worked properly since it had been fitted ( by a different company). Cleared up the mess and talked me through how the new boiler worked. My house is now lovely and warm and the water hot. Any problems or questions in the future , please don't hesitate to contact our office. Thank you Edmond for taking your time to leave this review- much appreciated. I am delighted you are happy with our tidy work, great service & ultimately, your new, fantastic Viessmann Boiler. Reasonable quote. Plus did the work the weekend before Christmas much to our delight. The old storage system had been replaced and new Combi boiler fitted and working with manual control by 1600. Returned Sunday to set up the temperature control and fit condenser pipe correctly. Would recommend them to friends and family. Thank you for the delightful Wally. I am glad you are happy with your new Combi boiler fitted and controls. A pleasure from start to finish. Bruce and his team are incredibly quick, efficient and friendly. Quality products and workmanship throughout. Their after sales care is also excellent. Thanks Justine & Sam for your great review. Glad you are happy with your efficient new boiler, the service you received from us and our advice. Very professional. Did exactly what they said they would do without any problems. Thanks Tracey for the kind review. Boilers 2 Bathrooms 4 U offered great advice when they came to quote. The quote was competitive. They did a great job, adapted when they met problems and made sure that we got want we wanted. Thanks Boilers 2 Bathrooms 4 U ! Thanks Stephen for your lovely review. If you have any problems , please dont hesitate to contact us. Thanks again. We are delighted you are happy with your new boiler & the great service! Look forward to starting your bathroom refit. Very pleased with the response and works undertaken by this company. They were very professional and we are very happy with the repositioning of a new combi-boiler and would definitely recommend them to family and friends. Thanks Ian for leaving a review. We are glad you are happy with the service and your repositioned combi - boiler!!! Very happy with the service, they installed a totally new central heating system, at a fair price and did the work when they said they would. We are delighted with your review! We will pop by your butchers when next in the area for some steak! These guys were amazing, when our boiler had broken down over Easter hoilday there was no problem in coming round and fitting new one for us. Their prices were really affordable and they did they’re work really quickly and cleaned up as they went. Would recommend these guys. Thanks Melissa We are delighted you are happy with our service & price! Thanks Janet for the kind words. I am glad you are happy with your new boiler! in all aspects of the job. Would recommend them anytime.